A heartfelt story for booklovers! I want to hug this book! That’s exactly how I felt reading The Storied Life of A.J. Fikry. A while ago a close friend recommended this book to me. She said it’s about a grumpy bookstore seller. She didn’t tell me more to not give away too much of the story, but she knew that I would love this book as she did. Months later I pick up the audiobook, and I was immediately carried away by the story of this grumpy bookseller! Who is A.J. Fikry? Well, A.J. lives on Alice Island and owns the only bookstore there, Island Books. Both the bookstore and its owner are struggling. A.J.’s wife had died, and his passion for books and life, in general, is dwindling. When a very rare book is stolen, it all leads A.J. down a truly unexpected journey…a loving and meaningful second chance at life. I won’t say any more about the plot as I think not knowing the key event that happens at the beginning is what makes this story charming. I’m so glad I chose to listen to the audiobook. Scott Brick is one of my favorite narrators. I know some may disagree, but I actually liked his dramatic style. This story easily flows anyway, and his narration helped contribute to that as well. This was my first time reading anything from Gabrielle Zevin, and I’m absolutely smitten with her storytelling! I found the several book references to be quite clever that I giggled at several moments. Overall, my heart filled with so much warmth by the end. The audiobook was only about 7 hours long, so I listened again and continued to be captivated by the grumpy bookseller the second time around. The Storied Life of A.J. 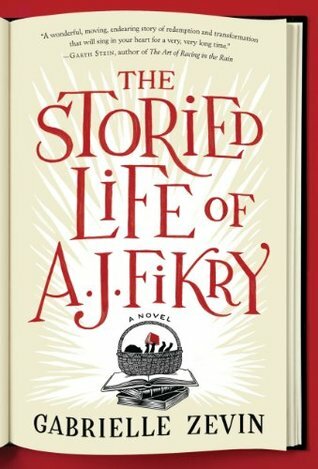 Fikry is a heartfelt story for booklovers. This would make a lovely book club selection. I hope you give this one a try.